With over three kilometres of sand and sea, Ko Lanta’s Long Beach is one of Lanta’s most popular beaches but big enough to feel like you have it to yourself. Ko Lanta’s Long Beach is aptly named – over 3 kilometres of white sand and sea, providing a great place to sunbathe or hang by the pool during the day and a perfect vantage point for the spectacular sunsets over the Andaman sea. See Long Beach in our 20 second aerial video – click Play on the video above. Long Beach is also known by its Thai name Phra Ae which you’ll see on road signs (in English) around Ko Lanta – Long Beach and Phra Ae are used interchangeably. You’ll also see the name Phra Ae used on some hotel booking sites. All of Long Beach’s hotels and restaurants are right next to the beach but not on it, keeping Long Beach unspoiled by development. There’s no rows of deck chairs to negotiate and no beach hawkers trying to sell you stuff. There are scores of restaurants, cafes and bars along Long Beach. 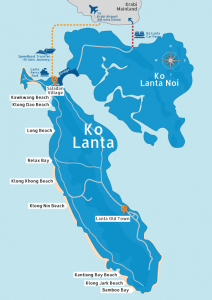 The majority are located in the north and middle parts of Long Beach, while the southern end is a little more secluded and home to one of Koh Lanta’s most luxurious resorts, Layana. Here are our recommendations for some of Long Beach’s best restaurants and cafes, with links to TripAdvisor.com to read customer reviews of each place. Most Long Beach bars stay open until around 10 pm. For party animals that want a late night, Ozone Bar is the place to go which is right on the beach near to Lanta Sand resort. 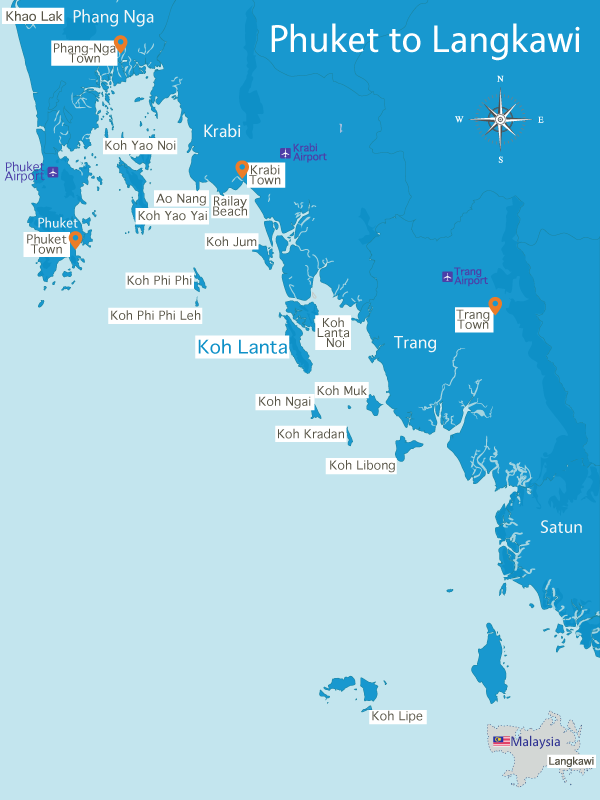 See this roundup for more info about Ko Lanta nightlife. Where Is Long Beach Located On Ko Lanta? Long Beach is the third beach along from the top of Koh Lanta. Visitors typically arrive at Koh Lanta at Saladan Village, which is located on the north coast of island. It’s then a 10 to 20 minute drive from Saladan Village to Koh Lanta. 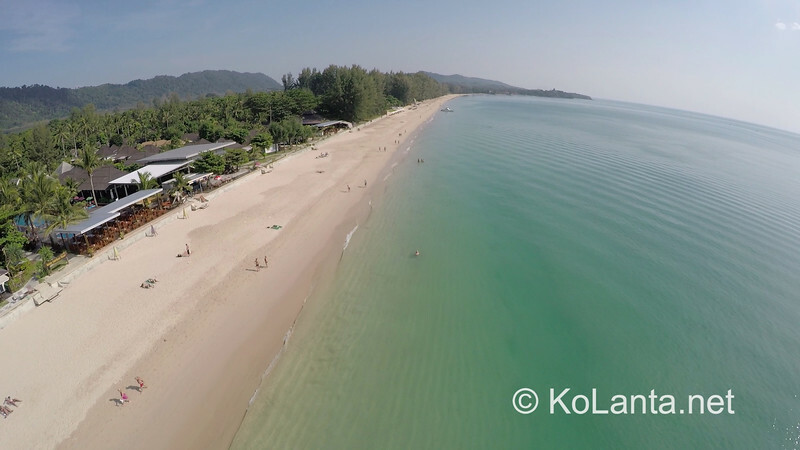 Only Kawkwang Beach and Klong Dao Beach are closer to Saladan. Because of its closeness to Saladan and the quick transfer times, Long Beach is one of the most popular beaches on Koh Lanta. However, because it’s over 3 kilometres long it rarely feels crowded.